Last week I wrote about the way that one’s historical sympathies can be swayed by one’s ancestors’ political affiliations, and I mentioned my discovery that my Robb forebears had supported the Jacobite rebellion of 1745 as a case in point. For the family historian with an interest in political history, discovering an intersection between your ancestors’ lives and wider historical events is always thrilling. However, until recently, I believed that my family had always been on the 'wrong' side of history. 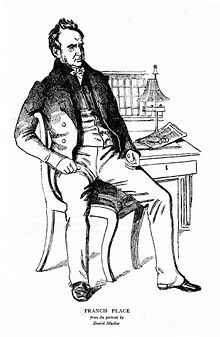 Besides their support for the romantic but reactionary Jacobites, there was also the case of Reverend William Robb (1763 - 1830), the brother of my great-great-great-grandfather Charles Edward Stuart Robb. He was an Episcopal clergyman in St Andrews, chaplain to Lord Elibank, and a poet: in fact, the only member of our family until the current generation to make it into print. In addition to a number of verses ‘illustrative of the genius and influence of Christianity’, William Robb wrote a long poem entitled ‘The Patriotic Wolves’ in December 1792 ‘when [as he says in the introduction] the agents of France, and those seditious societies, falsely styling themselves “The Friends of the People”, threatened the subversion of our happy constitution’. The poem, a ‘fable’ characterising reformers as ravenous wolves threatening the sheep-like British people, was published in the arch-conservative ‘Anti-Jacobin Review’. I’ve had a longstanding fascination with the late eighteenth / early nineteenth centuries, the age of revolution and reform, the period covered by E. P. Thompson’s seminal The Making of the English Working Class: an era when radical politics was still untainted by bureaucratism, when Enlightenment rationalism had yet to give way to pious Victorian sentimentalism, and when the cause of liberty had a romantic sheen and boasted literary luminaries such as Hazlitt, Godwin, Wollstonecraft, Byron and Shelley: bliss was it in that dawn indeed. So while it was intriguing to find that one of my ancestors had contributed to contemporary political debates, it was disappointing to discover that he had been an implacable opponent of progress. The only marginal corrective to this ancestral conservatism was the fact that, when my 3 x great grandfather Charles brought his family down to London some time in the 1820s or 1830s, they found lodgings at 29 Charing Cross – the very house that had once been occupied by the radical tailor Francis Place. This provided a rather tangential link with radical history - I’m fairly sure my ancestor Charles would have had little sympathy with the politics of the previous occupant of his house - but it was better than nothing. So much for my father’s family: mind you, in the next generation they would switch from Episcopalianism to Wesleyanism, slip in class terms from distressed gentry to respectable working class, and move from the West End to the East End, their line culminating in my late grandfather, a teetotalling Methodist, council lamplighter and NUPE shop steward in East Ham. However, I’ve recently found out that my ancestors on my mother’s side were of a more radical cast, and in precisely the historical period that interests me. Thanks to the excellent London Lives website, it’s now possible to find out who voted in elections in the Westminster constitutency during this period: the poll books contain details not only of their addresses, occupations and property values, but also the way they voted (no secret ballot in those days). And since Westminster had a wider franchise than some other boroughs, it included some of the craftsmen and tradesmen who populate the upper branches of my maternal family tree. Among them was James Blanch (1755 – 1840), one of my great-great-great-great-grandfathers. Born in Tewkesbury the son of a Quaker heel and patten maker (pattens were the metal over-shoes worn to protect against the mud of the eighteenth-century streets), he grew up in Bristol and came to London as a young man, an apprentice in the same trade as his father. Living in Compton Street, Soho, James married for the first time in 1779, to a young woman who was probably the daughter of his apprentice master. The Westminster poll books record the votes of James Blanch, patten maker, in three elections: 1780, 1784 and 1790. I was delighted to discover that James voted for the most radical candidate in two out of three of these elections. 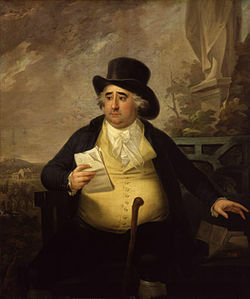 In the election of 1780, he cast his vote for the radical Whig politician Charles James Fox. 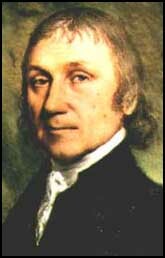 The latter was a supporter of the American and French revolutions and a campaigner against slavery and in favour of religious tolerance and individual liberty. 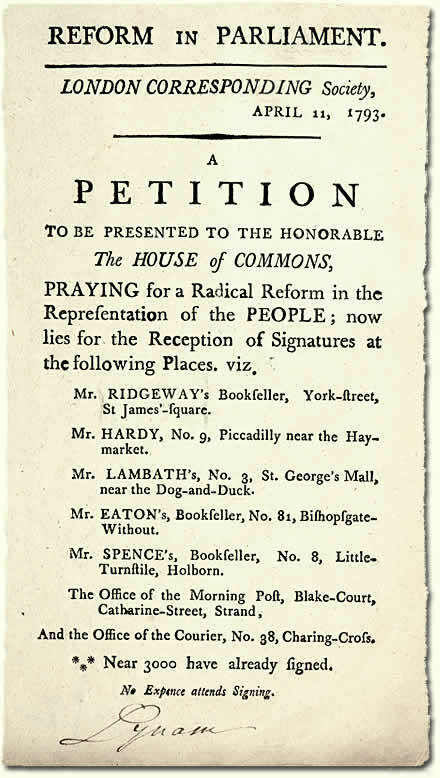 Victorious in the 1780 election, he was lauded with the title ‘Man of the People’. 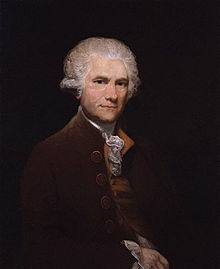 However, my ancestor was obviously not a party man, since in 1784 he hedged his bets and voted for both the Tory Samuel Hood (perhaps because he was something of a national naval hero) and the Whig Sir Cecil Wray – even though Fox was standing in the same election. This was the controversial ballot in which Georgiana, Duchess of Devonshire, toured the streets offering kisses in return for votes on behalf of Fox, who won narrowly. 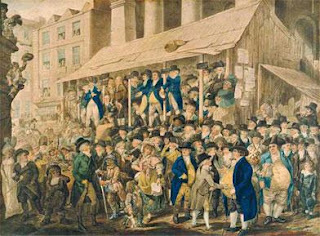 By the time of the 1790 election, James Blanch was living in Cross Lane in the parish of St Martin-in-the- Fields: on this occasion he voted for the radical John Horne Tooke. 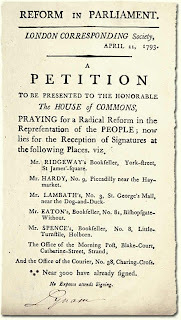 A prominent member of the Bill of Rights Society and the Society for Constitutional Reform, Horne Tooke was strongly influenced by the writings of Tom Paine and was a supporter of the working-class London Corresponding Society. His involvement in organizing an abortive constitutional convention led to his arrest and imprisonment in the Tower, along with leadings lights of the LCS, on a charge of treason. To great popular acclaim, the jury returned a verdict of ‘not guilty’. I find it nicely ironic that John Horne Tooke, the favoured candidate in 1790 of my mother’s ancestor James Blanch, was exactly the kind of person that my father’s ancestor, Rev. William Robb, would satirise and condemn in verse two years later. James Blanch’s votes for Fox and Horne Tooke are the only definite evidence I’ve found of radicalism among my direct ancestors. However, I remain intrigued by the fact that, two generations later, my great-great-grandfather Daniel Roe, another shoemaker (he married Mary Ann Blanch, the daughter of James Blanch’s son John), named his youngest son (my great-grandfather) Joseph Priestley Roe. This was almost certainly a tribute to the great 18th century dissenting minister, inventor and radical reformer. 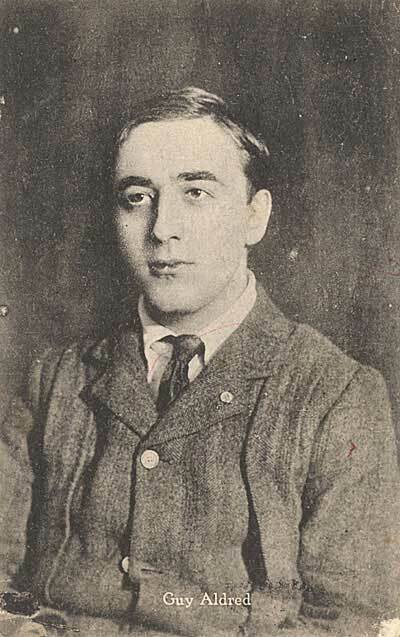 Joseph Roe was born, in 1862, in Great Windmill Street, Soho, just a few doors away from the Red Lion pub, where Marx and Engels had hammered out the first draft of the Communist Manifesto, fourteen years earlier. Finally: I can claim a much more distant family connection with a more recent radical. 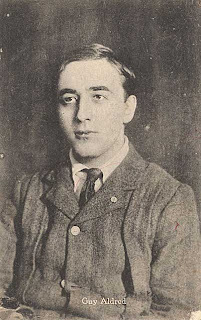 Also on my mother's side of the family, it seems that the anarcho-communist writer and activist Guy Alfred Aldred, who died in 1963, was my fourth cousin twice removed. To put it another way: my great-great-great-grandfather was his great-great-great uncle...well, you get the general idea. Roundhead or Cavalier (or a bit of both)?